Do you want to increase your sales? Then know your audience. Psychology has been studying the buyer’s brain for decades to understand what makes it tick. What scientists have discovered is that although people behave highly irrationally, their brains follow specific rules. Retailers can use this knowledge to design more effective strategies, to boost sales and customer satisfaction. Here are 15 ways you can use the inner workings of the customer brain to your advantage. People think they like choice – but too many options can be paralyzing. This is what scientists call the paradox of choice. In a popular study, Iyengar and Lepper (2000) set up two tables in a grocery store. At table A, customers could have a taste from a selection of six jams; at table B, they could choose among 24 different jams. Although more people stopped by table B, where the selection was larger, only 3% of them actually made a purchase. On the other hand, 31% of people stopping at table A left with a jar of jam. The lesson, for retailers, is simple: limit the flavors, color and brand options you store. If you offer too many alternatives, you may end up selling less (and will be left with a lot of stock to turn). When people get interrupted during shopping they lose focus and become less price-sensitive, studies show. To increase sales, distract shoppers in-store with vocal pop-up ads, digital signage, images, and by asking them “Can I help you?”. When people return to look at products after a distraction, they are more likely to buy and spend more. 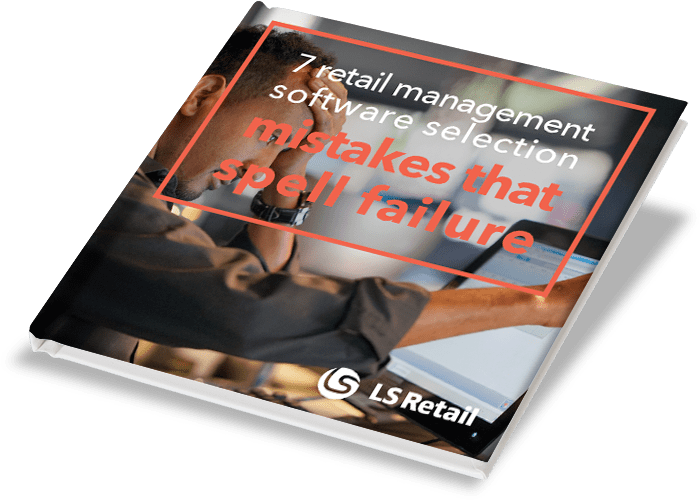 For the same reason, supermarkets and malls often have counter-intuitive store plans – they are specifically designed to confuse shoppers, as that supports sales. Loyalty programs are a great tool for retailers: they provide important insights into customer preferences, increase loyalty – and, according to studies, they also make customers feel happier in your store. In their 2006 study, Kivets, Urminsky and Zheng found that customers with a rewards card for a café smiled more while shopping, chatted longer with café employees, said “thank you” and left a tip more often than customers who were not part of the program. The shorter the perceived distance to a goal, the more motivated people are to reach it. Researchers Kivets, Urminsky and Zheng divided customers in a reward club into two groups. Group A was given a 10-boxes stamp card, which, when completed, would entitle them to a free coffee. Group B’s coffee card had 12 boxes, two of which were already stamped. Although all cards required the same amount of purchases to obtain the reward, customers in group B filled up the card faster. The two pre-stamped boxes gave them the perception they were close to the goal – and they spent more money, more quickly, to get there. When designing your loyalty program, leverage this effect to increase participation. Emotional messages are easier to remember and more effective than rational messages. However, not all emotions are created equal: greed (“you want to be part of this club – now!”) and nostalgia (“ah, the good old days of youth…”), for instance, work really well to make shoppers want to buy. Research shows that when people are feeling nostalgic, they value money less, and are therefore willing to pay more for products. Leverage on this by using pictures and music in-store that get to people’s guts: families, holidays, and retro music are oft-used ploys that always do the trick. When stuff is relevant to people, they pay more attention to it. This happens primarily when we hear our name (a magic word which activates various sections of our brain), but also when we hear something we are interested in – be it a sport we are interested in, our favorite band or the name of a country we have recently visited. Retailers can use their loyalty program to gain intelligence around customers’ actions, used the data to optimize and personalize communications, products and offers. And don’t forget to use people’s names! Research shows that snobby staff in high-end stores can increase sales. This effect (which doesn’t apply to mass-market brands — only luxury) appears to be related to people’s aspiration to be part of a prestigious in-group. So, if you run a luxury store, allow your sales representative to act snobby. If you run a mass-market brand, though, better stick to smiles and politeness. When talking to customers, try copying their body language and words: you will increase the chances they will buy from you. That’s because we tend to feel stronger affinity to people we perceive similar to us. The “mirroring effect” is a very effective sales trick. According to a Caltech study, consumers are willing to pay more for items if they can see them and touch them. The sensory experience is so important that the longer people spend looking and holding products, the more they are willing to pay for them. This is great news for brick and mortar stores – as long as they don’t subscribe to a surpassed “Do not touch the merchandise” attitude. People value things differently depending on how common or scarce they perceive them to be. The rarer a product, service or opportunity, the more valuable it appears. Martin Lindstrom, author of "Buyology: Truth and lies about why we buy," found that he could increase the sales of canned soup simply by adding the sentence “maximum 8 cans of soup per customer”. People bought more cans even if the soup was priced the same as the day before. The feeling of scarcity —the Millennials’ “fear of missing out”— triggers in shoppers a survival instinct that makes them buy more, quickly. When people receive something for free, they feel special, and want to reciprocate the favor. In his book “Influence: The psychology of persuasion”, Dr. Robert Cialdini reports how one waiter increased his tips by 3% offering diners a mint after dinner. When he offered two mints, tips went up 14%. By giving shoppers a small freebie – be it a cookie or a sticker – you can increase the chances they will buy from you. People tend to choose products that offer a good bargain. Most customers don’t want to go for the cheapest option, but they still want to feel like they are getting good quality for money. You can leverage this attitude to increase sales of specific items, by adding an extremely expensive alternative in the same product category. Most buyers will opt for the middle-of-the-road product, because it will look affordable and a good bargain compared to the higher-priced one. Background music in-store can influence not only how much people spend, but also what they buy. Stores playing jazz or classical music are perceived as more sophisticated – and customers stepping in are open to spending more than people entering places playing pop, or rock music. In a famous experiment, customers in a wine store were more prone to buy French wines when French music was playing; when German music was playing instead, people bought more German wines. Hearing is not the only sense that affects our spending habits: researcher Martin Lindstrom found that smell of apple pie led to a 23% increase in sales of ovens and fridges in an appliance store. Drive customers to make small impulse buys, and sell more by triggering what psychologists call the “shopping mindset”. Once people have made a purchase, no matter how small, they are more likely to buy more, psychology says. Leverage on this effect by placing low-price, popular products – like candy or newspapers – by the entrance of your store. Surprise rewards are great: they make people happier and more motivated. On the other hand, expected rewards are not as effective – they may even lead to lower levels of happiness, says psychology. Do you want to make your customers happy? Send them surprise coupons or deals. Avoid, though, running repeated promotions, such as offers valid every Thursday. Once you know how your audience thinks, what makes them tick, you can adjust your strategy to become more effective. Make sure that you use the right approach for your industry and target market, and that you always combine these strategies with the most effective weapon of all - amazing customer service.